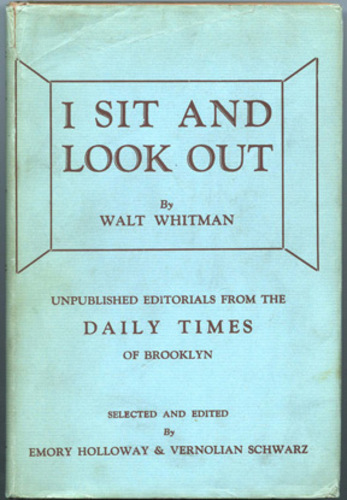 "I sit and look out” by Walt Whitman echoes all miseries and atrocities of life that rose to the surface in the wake of capitalism. The 19th century witnessed a sea change in the lives of people as rat race for materialistic possession became more prominent and principles were relegated, concerns and emotions were sidelined from inside of human beings. The poet pen pictures such a sad tale of human life by attempting to pose as onlooker who watches everything but does nothing to alter situations. How does Whitman's use of repetition affect the poem?